PTS controller over fuel dispensers and ATG (automatic tank gauge) systems for petrol stations serves as a protocols converter. It knows communication protocols of a great variety of fuel dispensers and ATG probes and allows control over any of them in exactly the same way using its own input communication protocol. POS system (cash register, payment terminal) should not matter what is the brand of fuel dispenser or ATG system connected – it simply communicates to the PTS controller the same way regardless the brand of fuel dispensers and ATG systems used, PTS controller undertakes all work on communication with fuel dispensers and ATG systems using their native communication protocol and takes into account all their peculiarities. 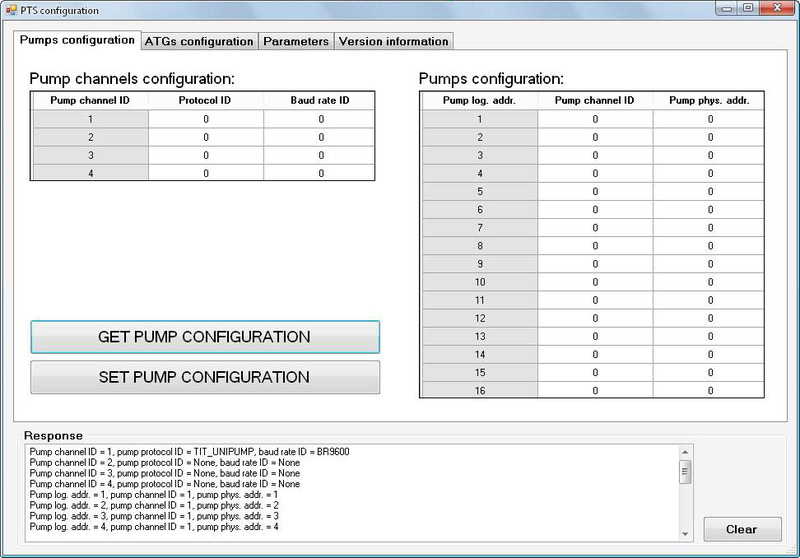 This completely simplifies work for a POS system developer: by having implemented input common communication protocol of PTS controller the POS becomes able to provide control over any of fuel dispensers and ATG systems supported by PTS controller. PTS controller itself converts input communication protocol into proprietary communication protocols of fuel dispensers and ATG systems. Thus the time required for development of POS system for petrol stations is significantly reduced. PTS controller can be called a forecourt controller and can be used together with POS systems, cash registers, OPTs (outdoor payment terminals) and other control systems for petrol stations in order to provide control over fuel dispensers, LPG (liquified petroleum gas) dispensers, CNG (compressed natural gas) dispensers and various brands of ATG systems at petrol stations and storage depots. PTS controller is supplied with a rich set of APIs (application programming interfaces) developed under most popular programming languages and environments in order to provide comfortable and quick implementation of the PTS controller into control systems for petrol stations (POS system, cash register, OPT terminal, etc). PTS fuel pump controller can simultaneously control up to 16 fuel dispenser sides (fueling places). 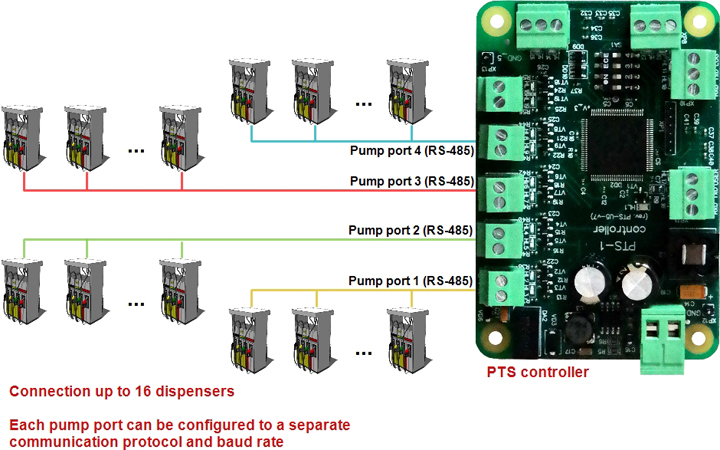 PTS controller has 4 independent pump ports, each of them can be programmed to its own communication protocol and baud rate, thus PTS controller provides communication with connected dispensers simultaneously using up to 4 various communication protocols. Each PTS controller pump port can connect up to 16 fueling places maximum. 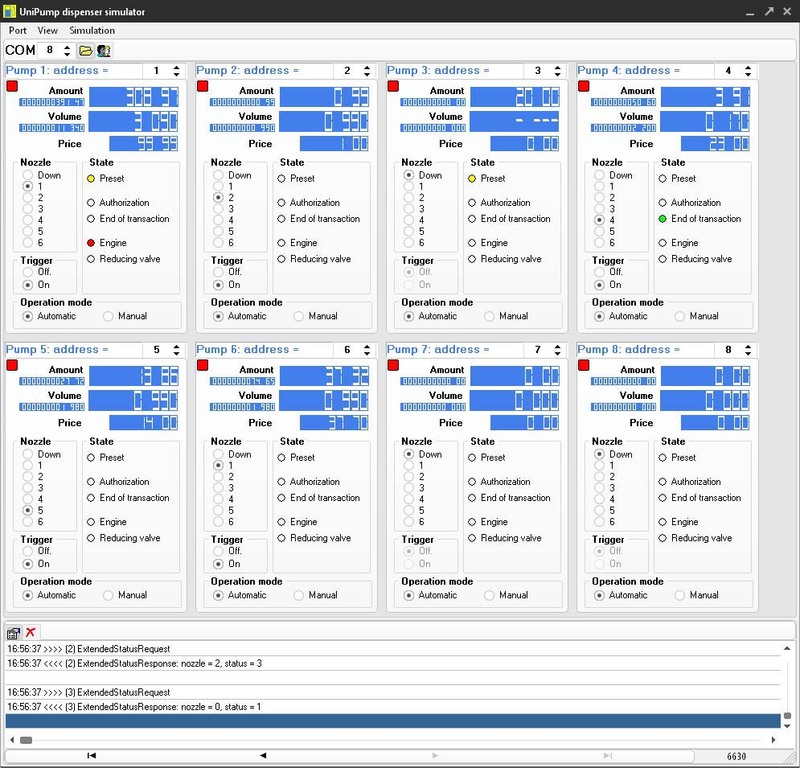 PTS controller can simultaneously control up to 16 ATG probes (gauges) (separate probes or probes connected to ATG systems / consoles) that use up to 3 various communication protocols and baud rates (each of the probe ports can be adjusted to a separate communication protocol and baud rate and connect up to 16 ATG probes maximum). 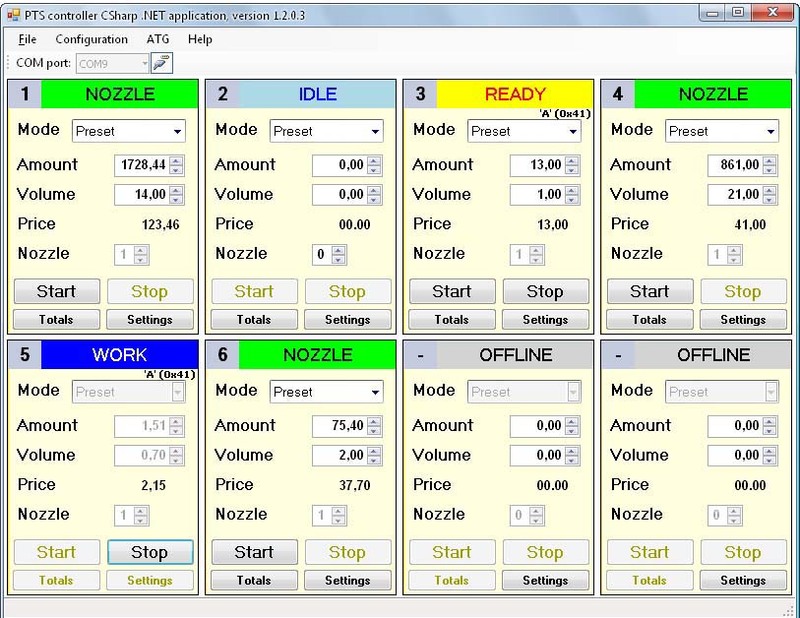 PTS controller allows a possibility to lead management over the same fuel dispensers from several POS systems and share ATG probes measurement values between several interconnected PTS controllers. 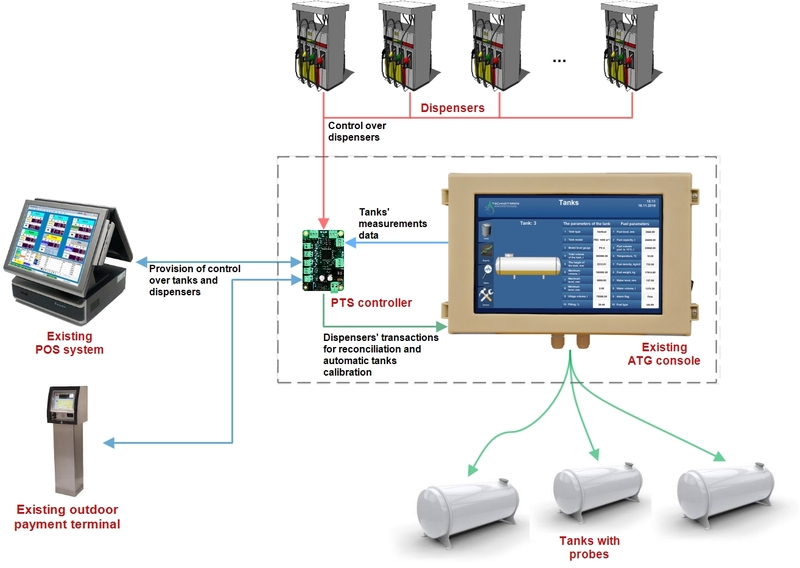 Thus every interconnected PTS controller is able to provide control over any of the connected fuel dispensers and know ATG system measurement data of every other interconnected PTS controller. PTS controller supports 90 types of fuel dispensers brands of various manufacturers, between which you can find: Wayne Dresser Europe, Wayne Dresser Brasil, Gilbarco Veeder Root, Tokheim, Nuovo Pignone, Wayne Pignone, Tatsuno Japan, Tatsuno Europe, Tatsuno Rus, Tokico, Bennett, Petrotec, Salzkotten, FAS, Adast, MM Petro ZAP, Emgaz Dragon, Galileo, Kraus, Welma, PEC (Gallagher), Develco, Logitron, Kalvacha, Safe, Wayne Meksan, Mekser, Mepsan, 2A, Petposan, Petrolmeccanica, Batchen, Email, EuroPump, Baransay, Sanki, Korea EnE, LG EnE, SOMO Petro, HongYang, Blue Sky, GreenField, Falcon, Dong Hwa Prime, EPCO, Slavutich, Shelf, UniCon, UniGaz and others. 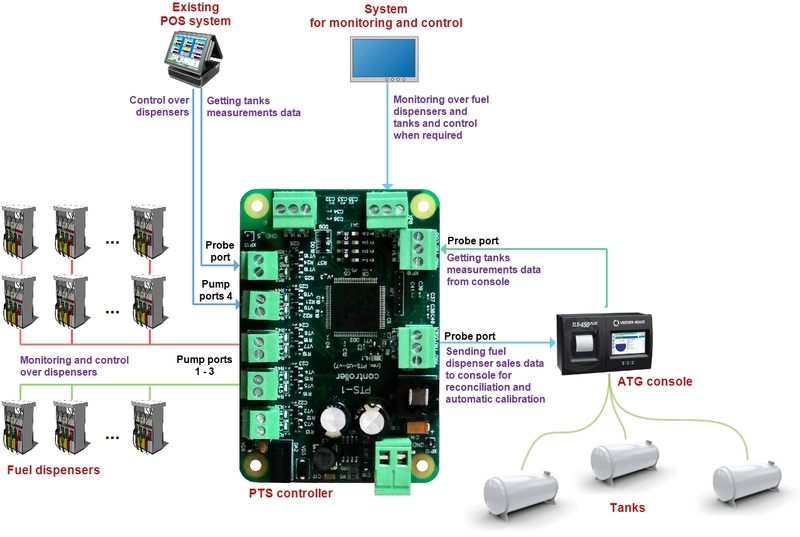 PTS controller supports more than 25 types of automatic tank gauge (ATG) systems of various manufactures (Gilbarco Veeder Root, OPW, Hectronic, Struna, PetroVend, Start Italiana, Fafnir, Assytech, VEGA, Windbell and others). PTS controller is CE approved and has all corresponding test reports. Supports over 70 communication protocols of fuel dispensers and ATG systems. List of supported communication protocols is constantly growing. 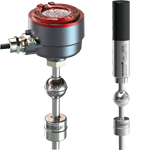 A wide range of international protocols as Wayne DART, Gilbarco 2-wire, Tokheim, Tatsuno are included. 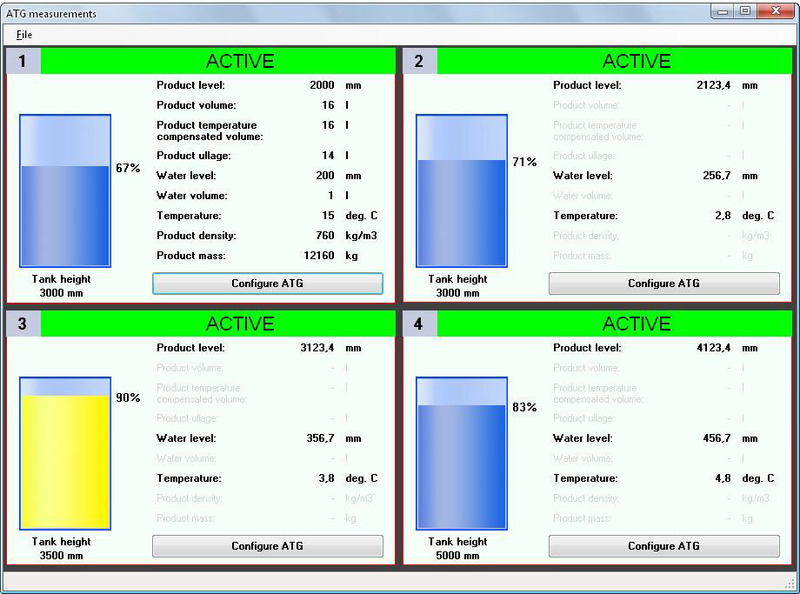 Single firmware of PTS controller contains all available communication protocols for fuel dispensers and ATG systems. Unified approach to management over any forecourt equipment - using PTS controller control over any supported fuel dispenser or ATG system is done in exactly the same way by the management system (POS system, cash register, OPT terminal, etc). 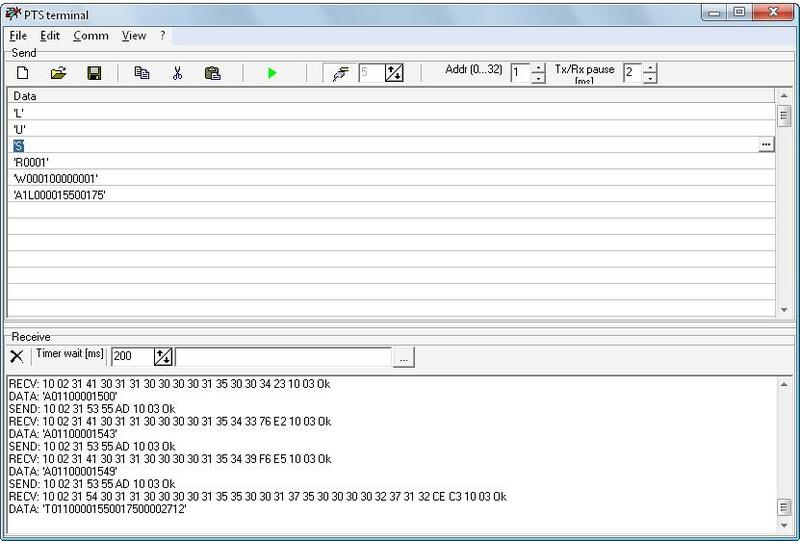 PTS controller has a single common communication protocol. Thus having once implemented the protocol into the management system (or its API) the management system will be able to provide control over any of the supported fuel dispensers and ATG systems in exactly the same way. Convertion between pumps protocols - in case if POS system already knows some open communication protocol of dispensers - then it can use PTS controller for its conversion to any other pump protocols. 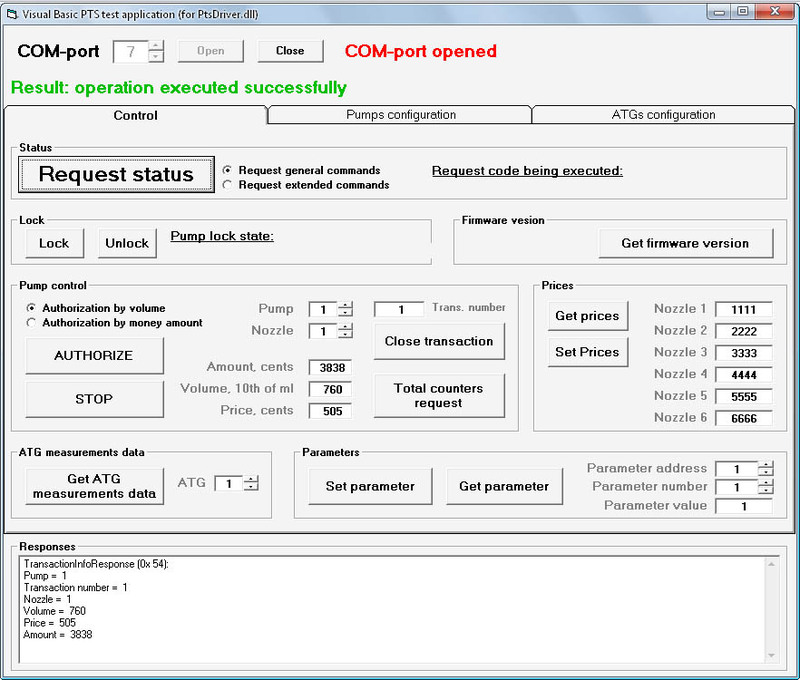 Convertion between ATG consoles protocols - in case if POS system already knows some open communication protocol of ATG consoles - then it can use PTS controller for its conversion to any other ATG console or probe protocols. 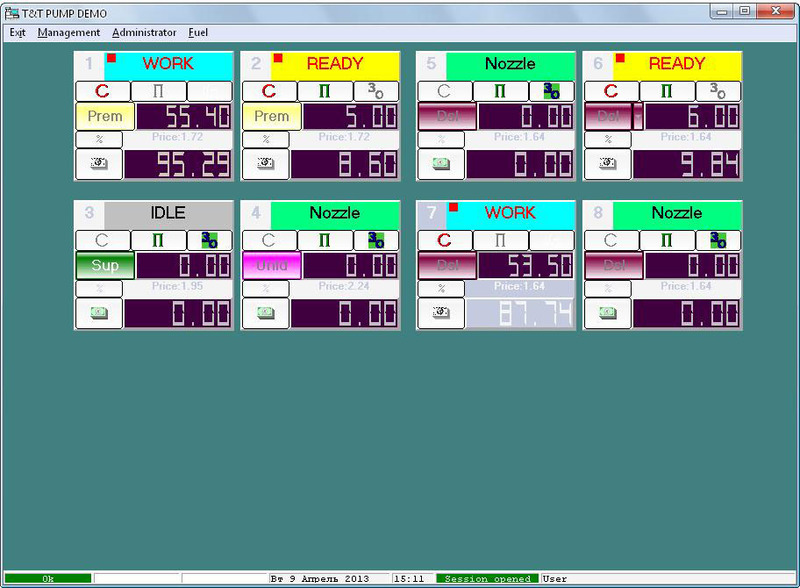 Real-time control over fuel dispensers and ATG systems. PTS controller provides a hardware solution for stable and reliable operation of forecourt equipment. 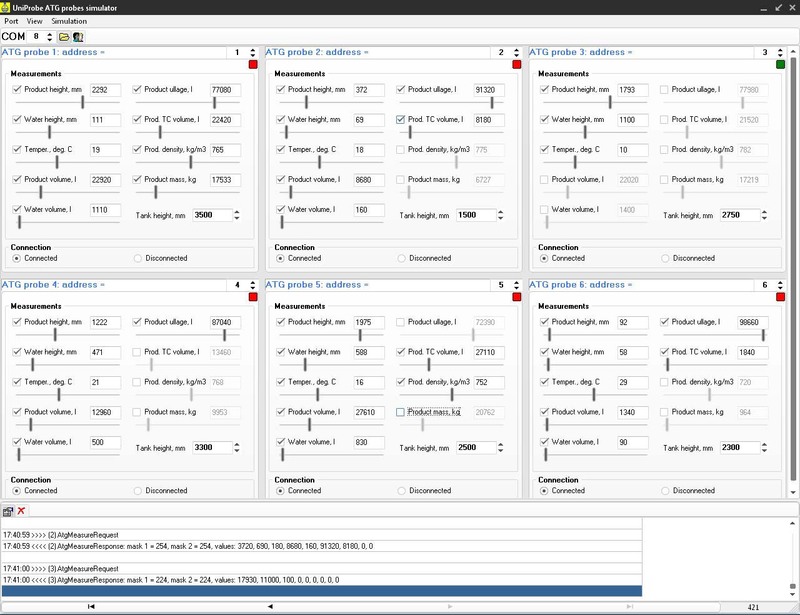 Scalability - PTS controller provides control over up to 16 dispenser sides, in case of necessity several PTS controllers can work simutaneously. Possibility to provide control over same fuel dispensers from several POS systems and receive data on ATG measurements from any interconnected PTS to each POS system - PTS controllers, installed near each of the POS systems, can be interconnected with each other allowing each of the POS systems to provide control over each of the connected fuel dispensers or monitor its state and to have data measurements of ATG systems connected to any of the interconnected PTS controllers. 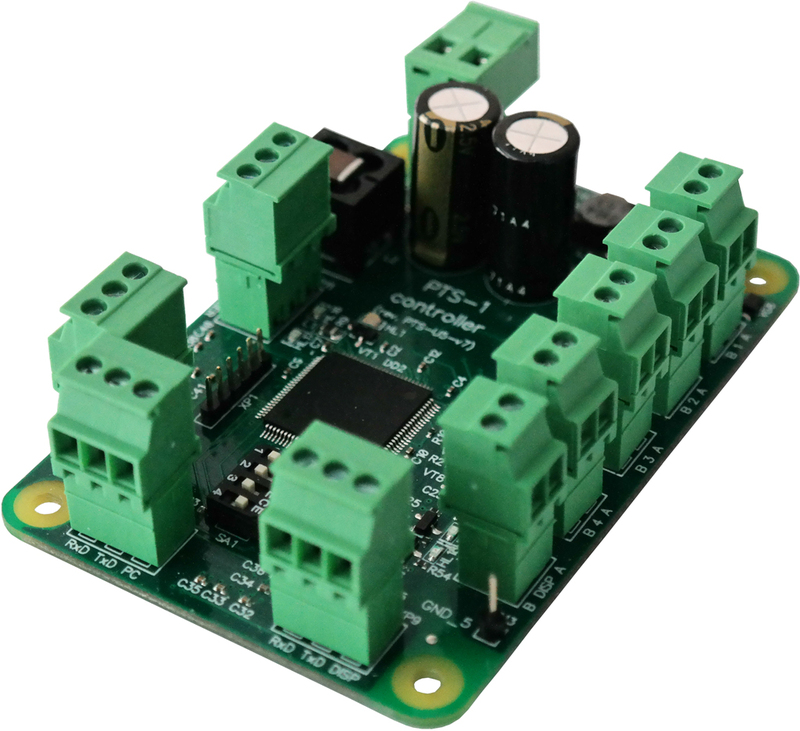 Rich set of interface converters for connection to fuel dispensers - PTS controller has output pump ports in RS-485 interface so can be directly connected to fuel dispensers with this type of interface. Other dispensers having communication interface of 2-wire current loop, 3-wire current loop, 4-wire current loop, RS-232 interface are connected to PTS controller through special interface converters. Rich software API for developers - PTS controller is supplied with full API (application programming interfaces) and open-source test applications for common programming languages and operation platforms: C, C++, C#, Delphi, Java, Python, Visual Basic, COM-object. 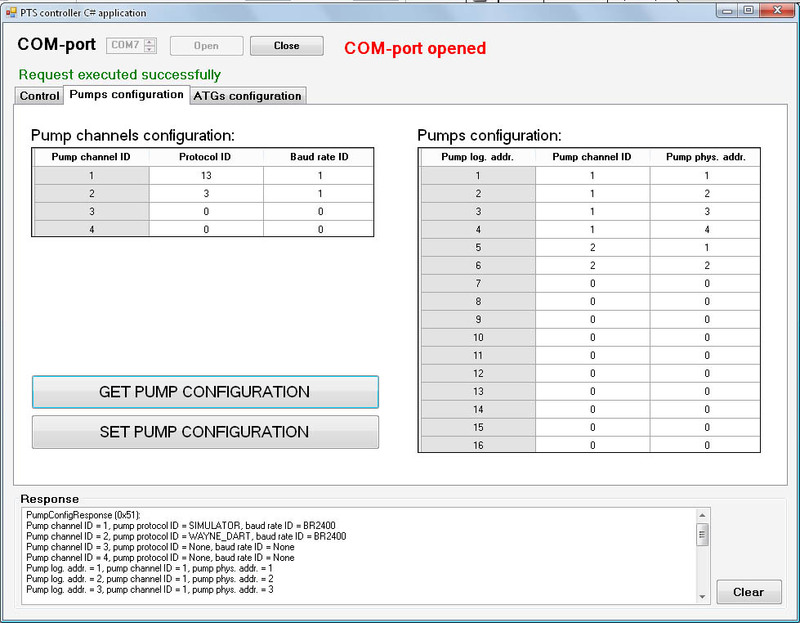 "All in one" configuration tool for PTS controller: one configuration utility provides configuration of its pump and probe ports, internal parameters, reads version, makes firmware updates, captures logging from any channel and makes self-diagnostics of the PTS controller. Easy firmware updating - All new firmware updates are available for download to all existing customers. Firmware update process takes about 1 minute. Easy way to back up and restore PTS controller configuration between updates. 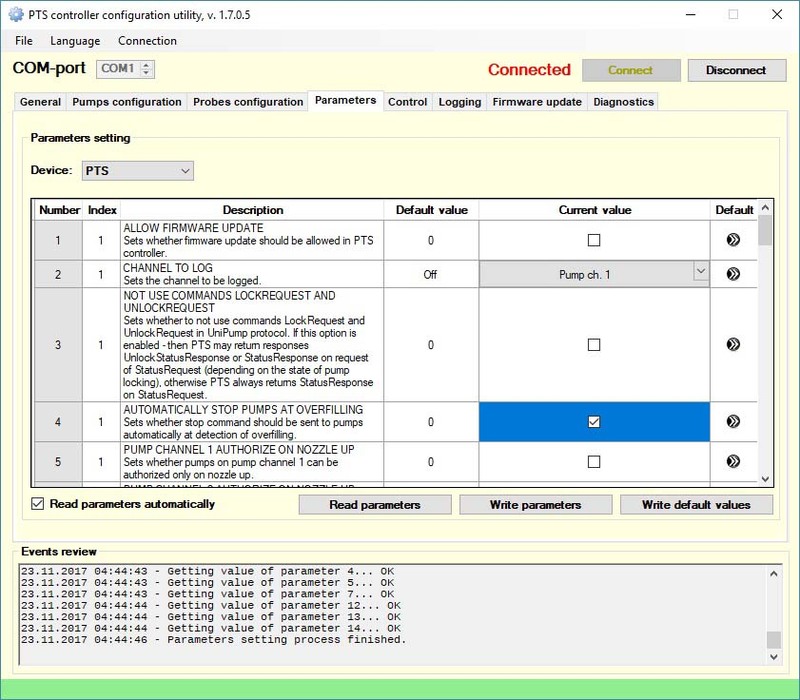 Logging of operation - in order to remove problematic situations of PTS controller communication with any forecourt equipment logging of communication exchange without interrupting PTS controller operation is available, which allows quick search and elimination of any found problems. Self-diagnostics of operation - easy and quick built-in diagnostics of PTS controller operation: CPU, memory, RS-232 and RS-485 interfaces, DIP-switches. Constant software updates - PTS controller firmware is constantly being improved, new protocols are being added and latest updates are always available for download to all customers. Support by developers for developers - 24 hours support for all customers of PTS controller on any standing issues. Credit-card size and suits to any dimension for installation inside master systems. 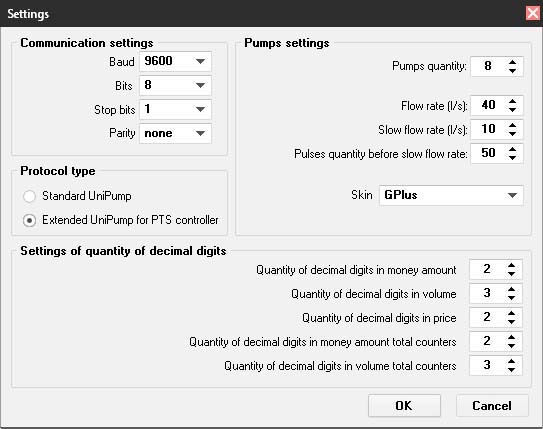 Baud rate is configured for each pump port in PTS controller independently on the used communication protocol. 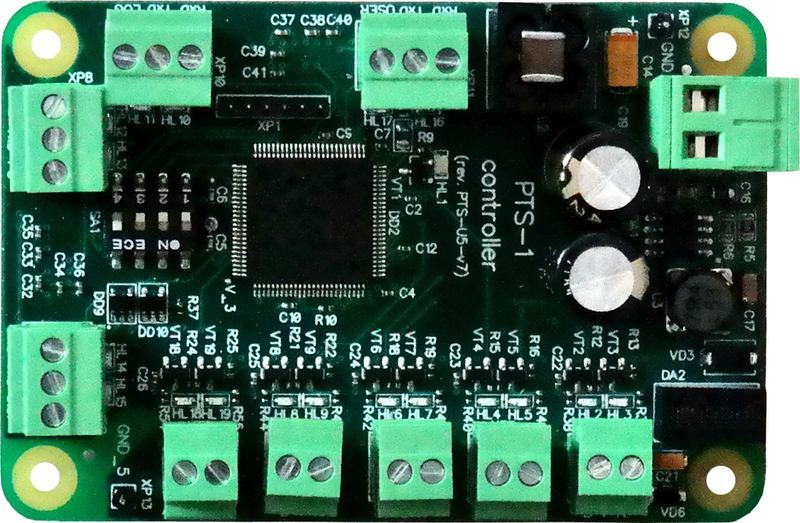 Some dispensers may demand using interface converter boards to RS-485 interface (depends on electronics of used pumphead in dispenser). 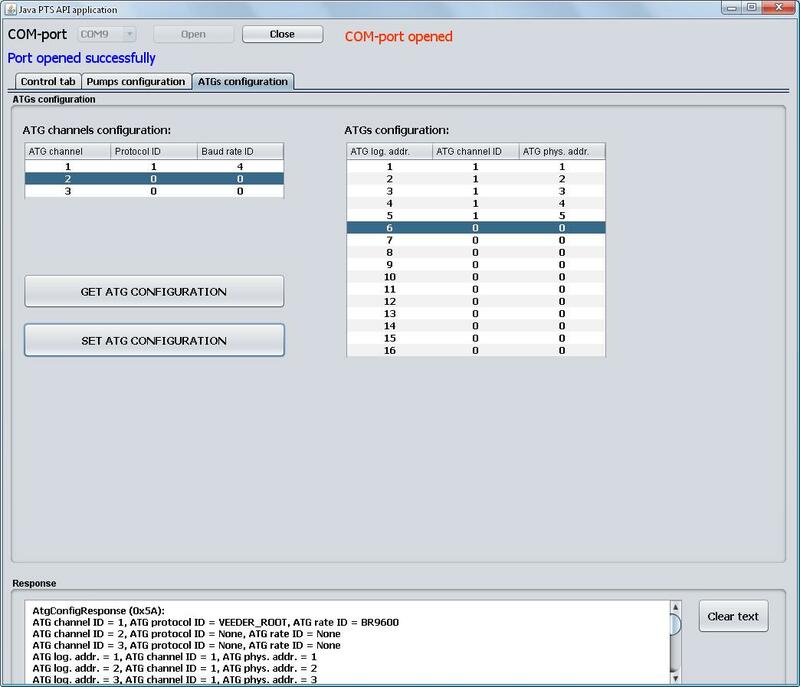 Communication parameters (baud rate, parity control, data and stop bits) are configured for each probe port in PTS controller independently on the used communication protocol. We are constantly expanding a list of supported communication protocols and forecourt equipment. Please contact us if you are interested in other pumps or probes brands, communication protocols or control equipment not listed here. PTS controller can simultaneously control up to 16 fuel dispenser sides (fueling places). 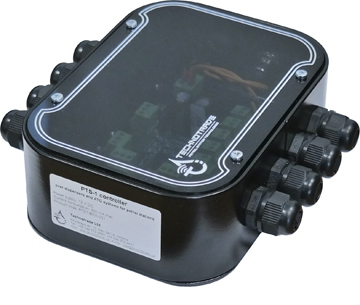 PTS controller has 4 independent pump ports and each of them can be programmed to its own communication protocol and baud rate, thus PTS controller provides communication with connected dispensers, simultaneously using up to 4 various communication protocols. Each PTS controller pump port can connect up to 16 fueling places maximum. 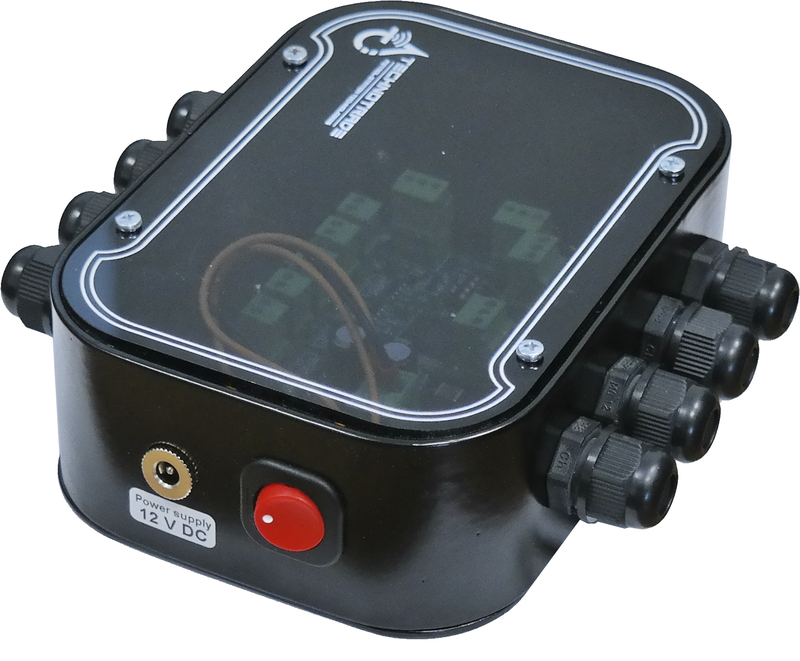 PTS controller can simultaneously control up to 16 ATG probes (gauges) (separate probes or probes connected to ATG systems/consoles) that use up to 3 various communication protocols and baud rates (each of the probe ports can be adjusted to a separate communication protocol and baud rate and connect up to 16 ATG probes maximum. In case if POS system already knows some open communication protocol of dispensers then it can use PTS controller for its conversion to any other pump protocols without any additional integration. 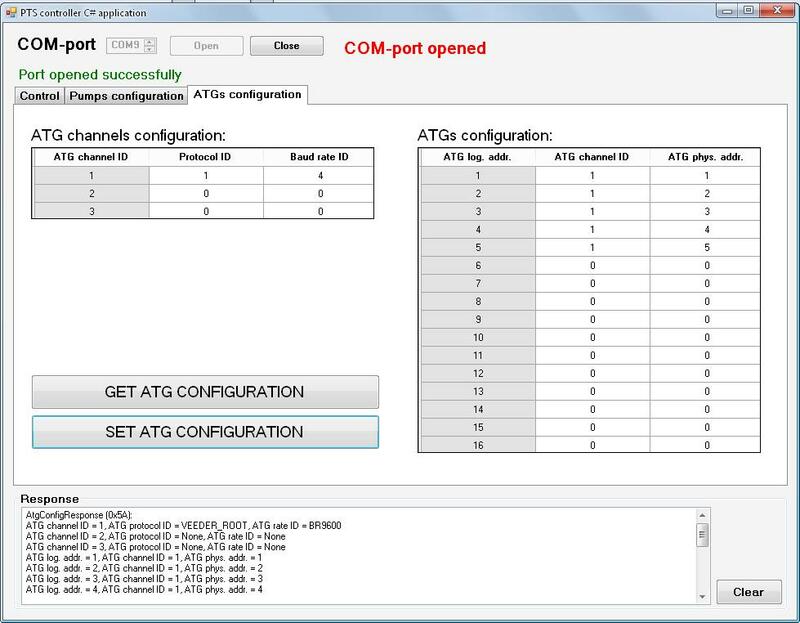 In case if POS system already knows some open communication protocols of ATG consoles then it can use PTS controller for its conversion to any other ATG console or probe protocols without any additional integration. In case if there is an existing POS system already installed on the station PTS controller allows to monitor operation of the fuel dispensers and tanks (and optionally to make sales when required). 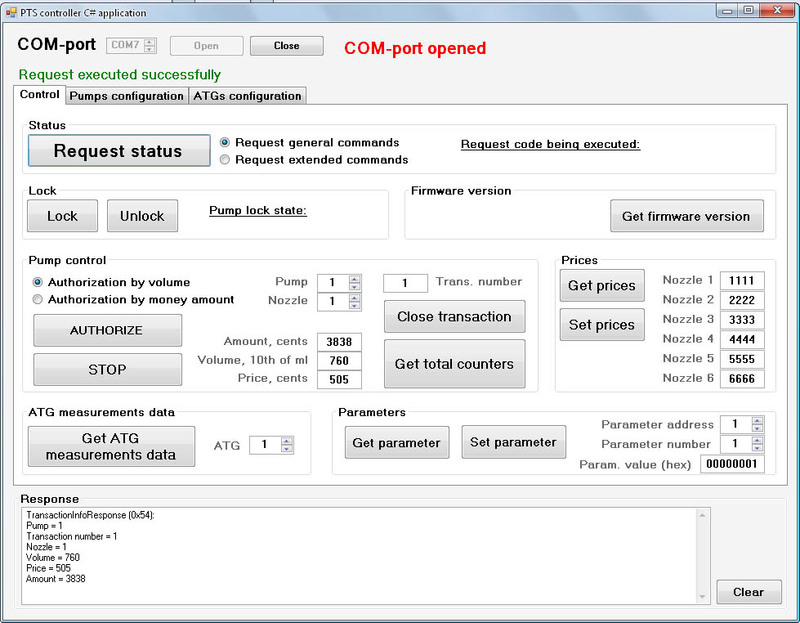 At this PTS controller is connected between existing POS system and fuel dispensers and ATG console (tank probes), PTS controller communicates with fuel dispensers and ATG console (probes) using their proprietary communication protocols and with POS system – using open communication protocols for pumps and ATG console. Monitoring system can connect to PC port of PTS controller and get all data of fuel dispensers sales and tanks real time, at this it can also provide control over the dispensers when required. Possibilities of the PTS controller allow to apply it in various ways for provision of control over forecourt equipment at petrol stations and allow its easy integration with existing POS systems and OPT terminals at petrol stations. One of the applications is listening of communication exchange between POS system and dispensers and sending of dispensers’ transactions to the ATG console for provision of tanks’ reconciliation and automatic calibration. Most of the petrol stations with installed ATG consoles do not have this option due to POS system can not provide sending of dispensers’ transactions to the console. Installation of the PTS controller between POS system and dispensers solves this problem and without any additional integration from the side of POS system. If a necessity arises to organize several working places at petrol station (several POS systems) each of the POS systems should have its own PTS controller connected. 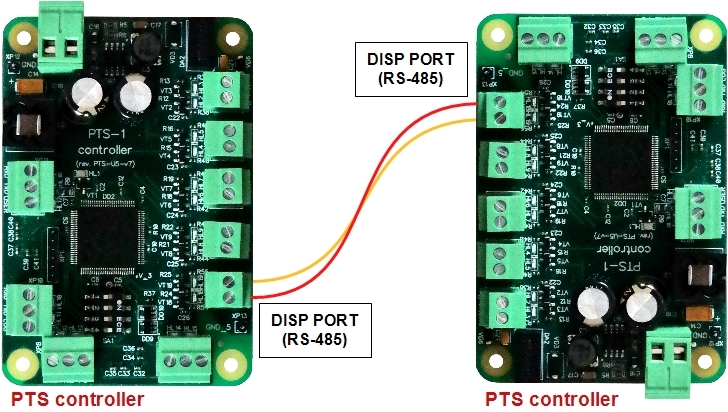 PTS controllers should be interconnected with each other through a dispatcher PTS port (DISP channel on RS-485 interface) and with fuel dispensers. Thus control over each fuel dispenser at petrol station can be made from every POS system and each PTS controller will know measurement data of every ATG probe connected to any of the interconnected PTS controllers. During authorization of a fuel dispenser from one POS system the fuel dispenser becomes locked by PTS controller of this POS system and while it is locked all other POS systems cannot control given fuel dispenser, they can only monitor its current state. When operation of given POS system is finished with given fuel dispenser, PTS controller of this POS system unlocks the fuel dispenser and it becomes commonly available to all other PTS controllers, which makes it possible to be controlled (locked) by any of the PTS controllers connected to other POS systems. 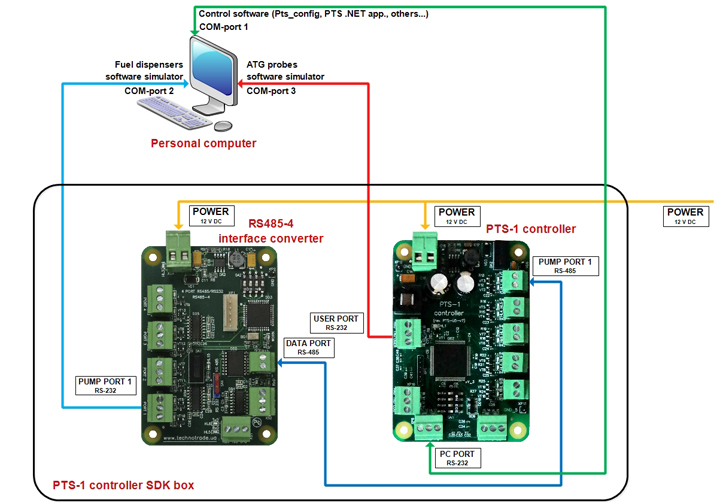 PTS controller SDK (Software Development Kit) is intended for developers of POS management software for petrol stations that want to control fuel dispensers and ATG systems from their software. 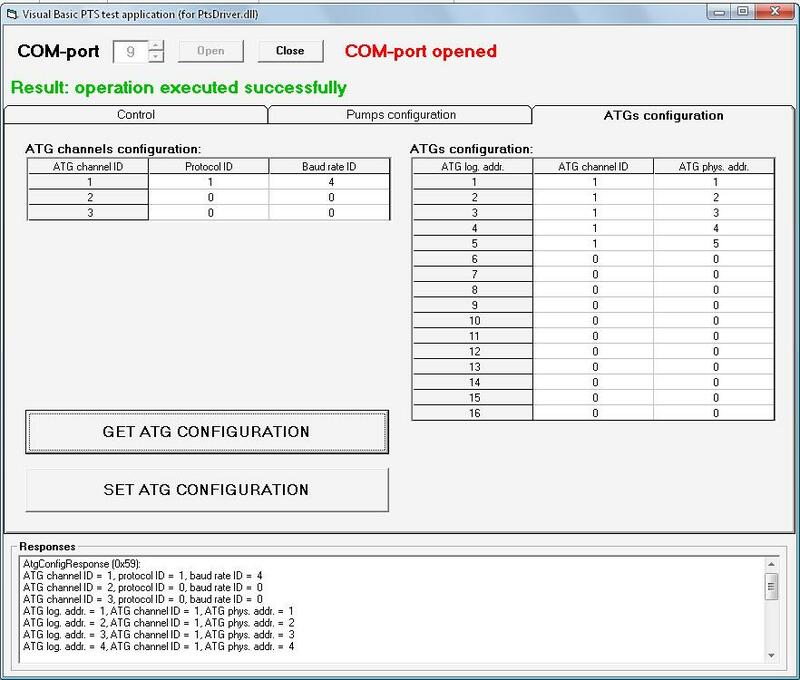 Improve understanding of operating the PTS controller. 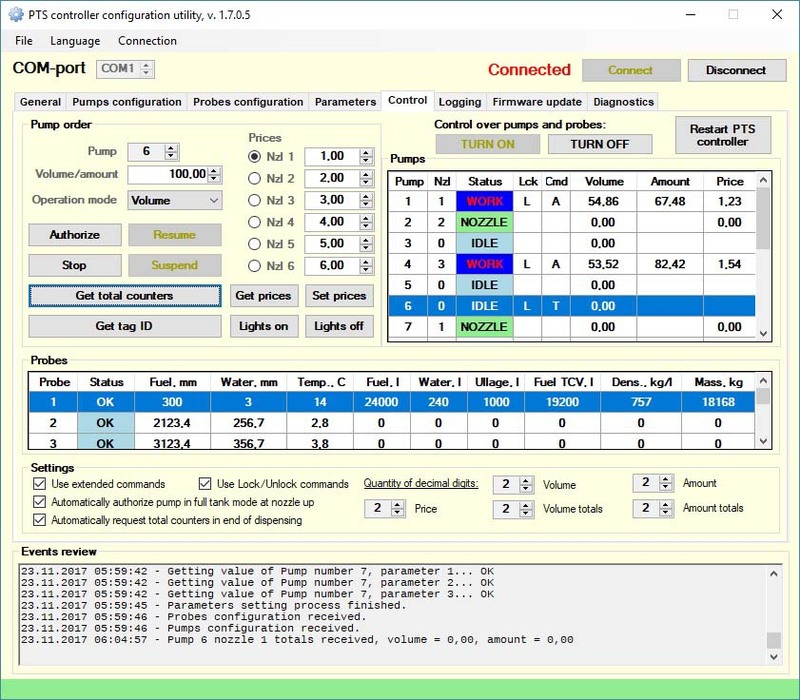 Implement the PTS controller into own developed POS management system or software application for control over fuel dispensers and ATG level measurement systems for petrol stations. 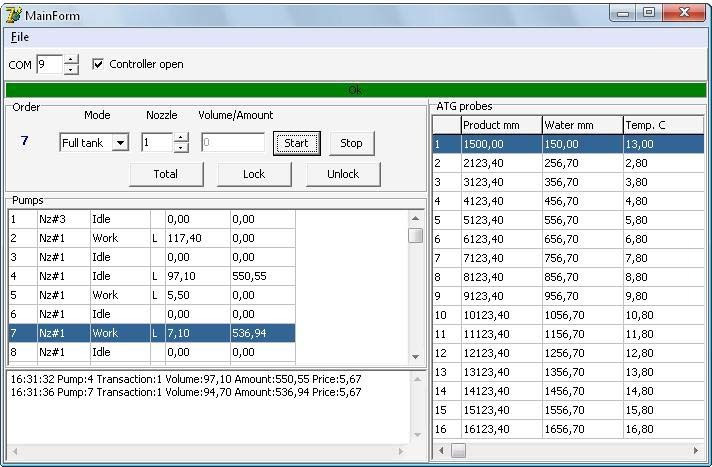 Debug own software application to correctly provide control over fuel dispensers and probes locally (on the workplace) without need to connect to real fuel dispensers and probes using software simulators of pumps and probes supplied in structure of SDK. PTS controller firmware is constantly being improved and new communication protocols are added. 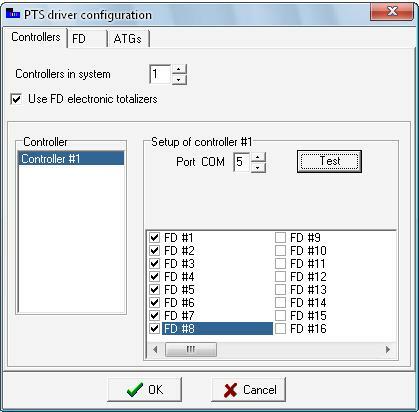 New versions of PTS controller firmware are available for download to customers. Support team provides 24 hour help and customer assistance on any questions which may arise with PTS controller. Questions are answered by experienced developers and programmers, who have sufficient knowledge and can assist with any questions regarding software development. What are the installation requirements for the petrol station? WARNING! Manufacturer guarantees reliable and stable operation of products only at compliance with below requirements. In case of absence of uninterruptible power supply or incorrect wiring of products to it any claims to malfunction of software are not accepted. 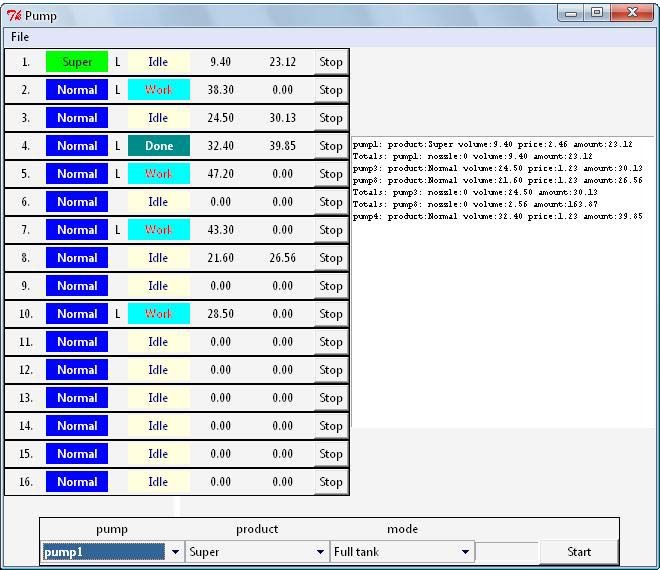 The described products come into structure of control system (POS) for petrol station. Power supply of the products should be done from a separate power supply with built-in filter of radio frequency interferences and limiter of high voltage pulse interferences. Power supply should have a safety factor of 1.5. At emergency switching off the power supply or in case of power voltage exceeding its permitted ranges the products can switch off with loss or corruption of data and possible damage of hardware and software. Power supply of all electronic blocks of POS and electronic pumpheads of dispensers, which are connected through information lines, should be made from single common uninterruptible power supply source (UPS). Connection of other devices to given UPS is strictly prohibited. UPS should be of continuous action (online) and work with double conversion with output voltage regulation. UPS should have a safety factor of 1.5. Filter of radio frequency interferences and limiter of high voltage pulse interferences should be used for feeding equipment from UPS. Supply of electronic pumpheads of dispensers should be made from the UPS unit using 3-wires scheme with isolated neutral through dedicated two-pole breaker for each dispenser. Connection of other parts of dispenser to UPS unit (expect electronic pumpheads) is strictly prohibited. UPS unit should be connected to a separate three-pole socket fed through the three-wire feeder (phase, neutral, ground wires) with insulated neutral from a dedicated circuit breaker of switchboard. Feeder coming from the switchboard to the socket should located not closer than 0.3 meters to other feeders. The socket should be located at a distance of not more than 1 meter away from the POS. Phase wire of the feeder should not have any other consumer, which are sources of interferences (for example motors). For protection of POS and UPS from secondary effects of atmospheric electricity it is required to install high-voltage arresters (dischargers) at the transformer substation or on poles of power lines. In the switchboard the ground wire of feeder socket should be connected to the grounding screw, which should be connected by means of welding with a protection grounding circuit of petrol station by steel wire with a diameter of not less than 5 mm. Protection grounding circuit of petrol station should correspond to safety requirements and be separated from the station lightning protection circuit. Distance from the nearest electrode of protection grounding circuit to electrode of lightning protection circuit must be at least 10 meters. Resistance of the protection grounding circuit should be not more than 4 Ohms and must be confirmed by the test report. Length of wires from the switchboard to the nearest electrode of protection grounding circuit should not exceed 15 meters. Laying of power and information wires to dispensers should be done in separate pipes with distance of not less than 0.3 meters between each other. For informational wires (current loops, RS-485, other interfaces) it is recommended to use shielded twisted-pair cables (recommended type – FTP CAT 5E). The cable shield must be connected to the ground connector on one side only – on the side of the dispenser. How many dispensers can PTS controller provide control over? What wires are used for connection of the PTS controller with dispensers? Are wires supplied together with the PTS controller? PTS controller is supplied without cables for connection to dispensers and ATG systems. For connection to dispensers and ATG systems you will have to prepare the cablings yourself. 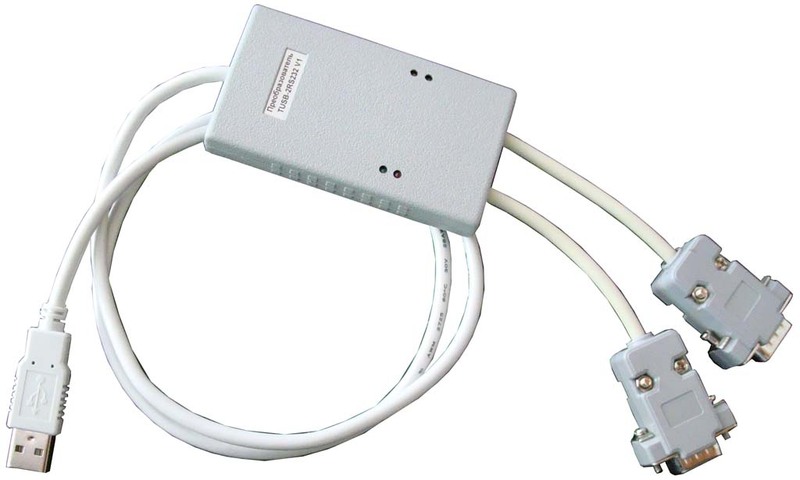 You can use any standard FTP cable with twisted pair and aliminium foil for screening (like FTP CAT 5E) for connection. When PTS controller is to be connected directly to ATG probes installed in fuel tanks (without ATG console) - then connection should be obligatory done through the safety barrier (intrinsic safety barrier), which prevent any sparks coming from the cable in explosion dangerous area of tanks, where the ATG probes are installed. If there are totally 4 pump ports in PTS controller - does it mean that only 4 pumps can be connected to it? 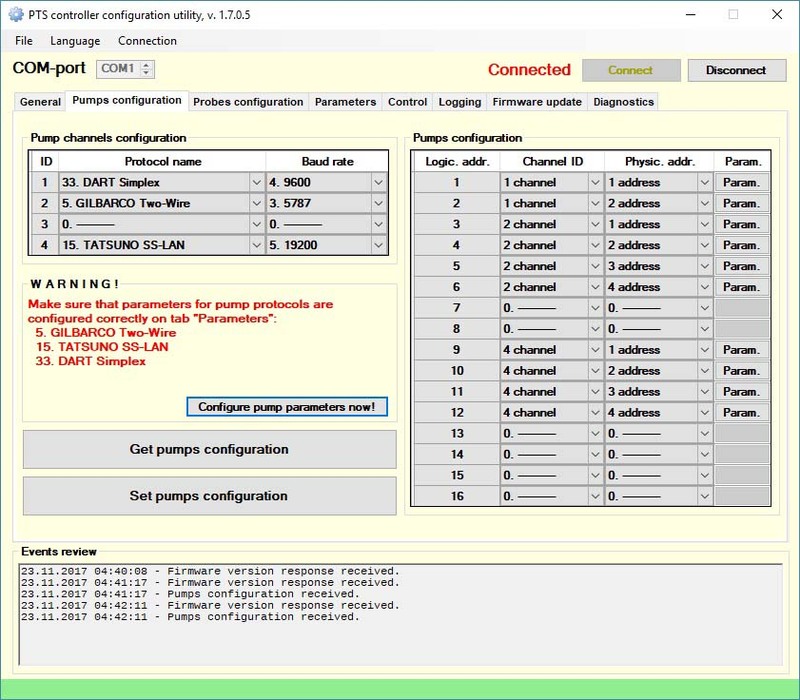 Total quantity of pumps to be connected to PTS controller is 16. Each of the pump ports can be configured to its own communication protocol and baud rate, so you can connect dispensers of 4 various brands to the same PTS controller. You can connect up to 16 pumps to the same pump port or you can distribute all the maximum 16 pumps between the any or all pump ports. As the pump ports are working independently from each other it is recommended to distribute the connected dispensers between all the pump ports in approximately equal quantities in order to make polling of connected pumps be the fastest. What is the difference between the pump and fuel dispenser? Under pump we mean a fueling place, which is a dispenser side (in case if dispenser has 2 sides) or a whole dispenser (in case if dispenser has 1 side). Where is the PTS controller installed: near the POS or inside the fuel dispenser? The PTS controller has RS-232 interface for communication with a control system (e.g. POS system, cash register, payment terminal, etc). 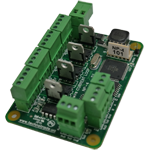 RS-232 interface specification allows connection with maximum distance up to 15 meters between devices using this interface. It means that the PTS controller should be used close to the control system. Interfaces normally used in dispensers allow much longer distances for communication (for example RS-485 or current loop interface normally allows distances up to 1200 meters for communication). How are the fuel dispensers connected to the PTS controller: directly or through an interface converter? This depends on the type of interface used in the dispensers. 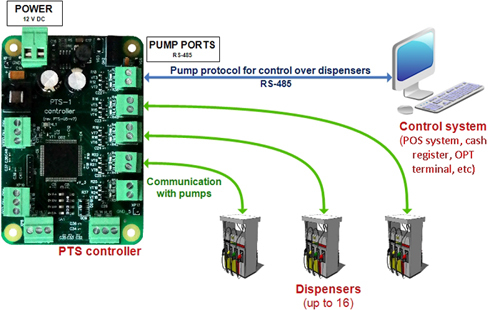 Dispensers, which use RS-485 interface, are directly connected to the PTS controller. Examples of such dispensers are: Wayne Dresser Europe, Nuovo Pignone, Wayne Pignone, Tatsuno Japan, Tatsuno Europe, Tatsuno Rus, Tokico, Bennett, Adast, MM Petro ZAP, Galileo, Develco, Safe, Wayne Meksan, Mekser, Mepsan, 2A, Petrolmeccanica, EuroPump, Sanki, Korea EnE, LG EnE, SOMO Petro, Blue Sky, Dong Hwa Prime, EPCO, Slavutich, Shelf, UniCon, UniGaz, others. Electronic dispensers, which use 2-wire current loop interface are connected to the PTS controller through the GB interface converter. 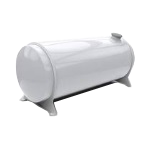 Examples of such dispensers are: Gilbarco, Tankanlagen Salzkotten, Batchen Email, Kraus, Prowalco, Wayne Dresser (USCL communication protocol), PetroTec, EuroPump, Mekser, Meksan, Petposan, PEC (Gallagher Fuel Systems), Bennett, Falcon LPG, Greenfield, others. Electronic dispensers, which use 3-wire passive current loop interface are connected to the PTS controller through the TH interface converter. Examples of such dispensers are: Tokheim, Satam, Emgaz Dragon, Kalvacha, others. Electronic dispensers, which use 3-wire active current loop interface are connected to the PTS controller through the LP interface converter. Examples of such dispensers are: Logitron, Emgaz Dragon, Gilbarco Marconi, others. Electronic dispensers, which use 4-wire active current loop interface are connected to the PTS controller through the HY interface converter. Examples of such dispensers is Hong Yang, others. Electronic dispensers, which use 4-wire active current loop interface are connected to the PTS controller through the NP interface converter. Examples of such dispensers is Nuovo Pignone, others. Electronic dispensers, which use RS-232 interface are connected to the PTS controller through the RS-485/RS-232 interface converter. Examples of such dispensers is Lanfeng, others. Mechanical dispensers, which do not have electronic pumphead or interface for communication, can be connected to the PTS controller through the use RS-232 interface are connected to the PTS controller through the controller over mechanical fuel dispensers. Controller over mechanical fuel dispensers is intended to be used in connection with a control system for petrol station (POS system, cash register, OPT terminal, etc) to provide direct control over operation of electronic and mechanical fuel dispensers by controlling dispenser’s internal resources: motor, pulse sensor, nozzle, slowdown valve. Is there any difference in provision of control over diferent fuel dispensers brands through the PTS controller? PTS controller converts a proprietary dispensers and ATG systems communication protocols into a single communication protocol, which is called UniPump. Thus using a single communication protocol UniPump a control system (POS system, cash register, payment terminal) is able to provide control over any of the supported dispensers and ATG systems in exactly the same way. For a developer it does not matter which brand or model of the dispenser or a POS system is connected - control over it through the PTS controller is done in exactly the same way. How to power supply the PTS controller? Is the power supply source supplied together with PTS controller? PTS controller uses 12 V DC for feeding. Maximum current consumption is 400 mA. Power supply source is not supplied together with a PTS controller. The power supply should be selected locally. This is connected with a reason that differennt countries may have different electricity network specifics: frequency and voltage. maximum allowed current consumption of power supply should be more that maximum current consumption of PTS controller. If several devices are connected to the same power suource - then their total current consumption should be less than maximum allowed current consumption of power supply. 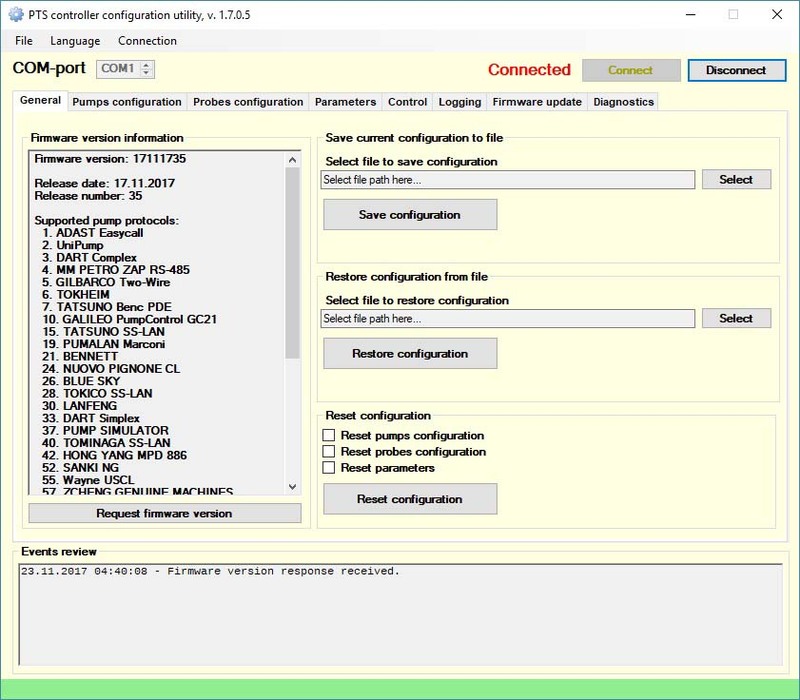 How to connect PTS controller to personal computer and what to do if there is no COM-port? 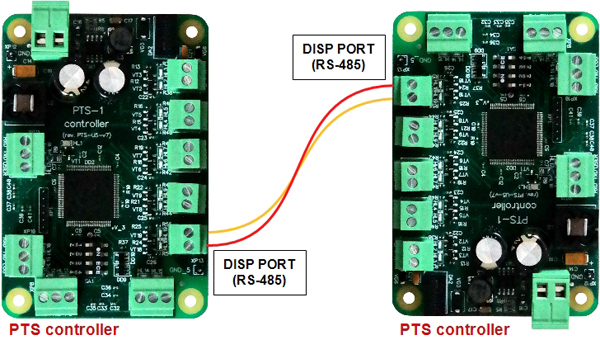 Connection of PTS controller to the control system (POS system, cash register, OPT terminal, etc) is made through a PC port of PTS controller, which has RS-232 interface (3 wires: TxD, RxD, Gnd). In case if the control system does not have a COM-port – it is possible to use any type of converter to COM-port (like USB-to-COM, Ethernet-to-COM, Bluetooth-to-COM, other converters). 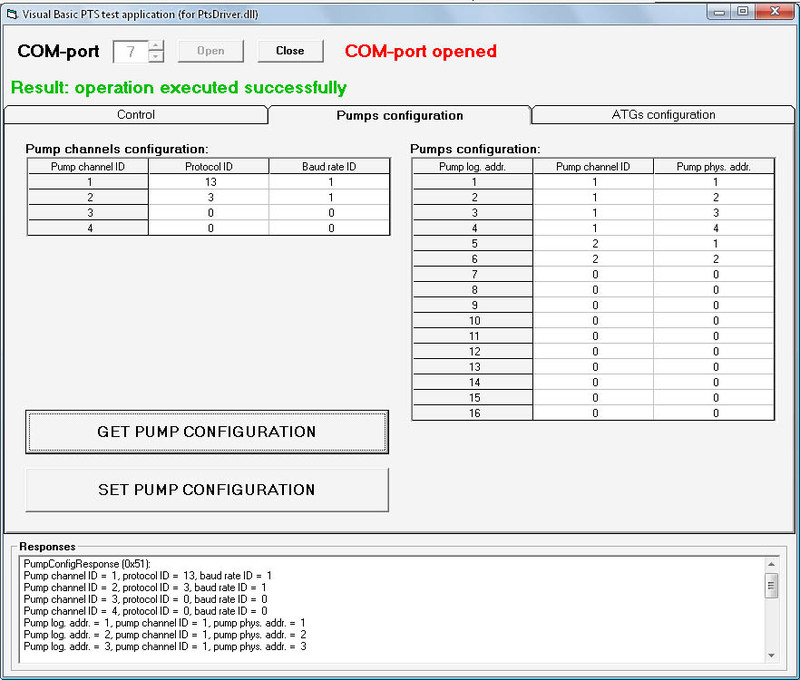 Communication with PTS controller is made using commands and responses described in UniPump communication protocol. 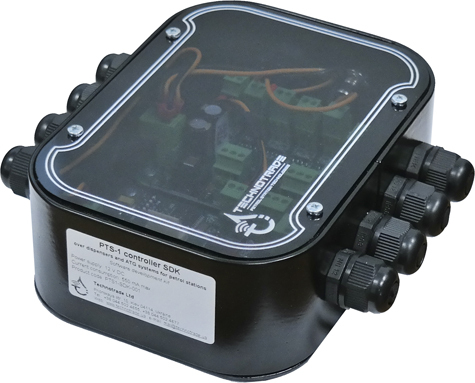 Thus PTS controller provides conversion of the common communication protocol UniPump into various proprietary communication protocols of fuel dispensers and ATG systems. Is it possible to use PTS controller in order just to listen to the dispenser to collect data on sales and not to provide control over it? Yes, this is possible and PTS controller works on many petrol stations in exactly such a way. This way of operation requires a control system to keep constant track over the dispenser state. Once the nozzle is taken up - the control system should authorize it with some volume, which is bigger than normal dispensing volume. After the dispensing is done - the control system should read transaction information from PTS controller and store its in its memory. As an example of such mode of operation please read how this is done in NaftaPOS software. What is a set of instructions PTS controller allows to make with fuel dispensers and ATG systems? What API is available for development of own POS system on the basis of PTS controller? PTS controller is supplied with full API (application programming interfaces) and open-source test applications for mostly used programming languages and operation platforms: C (for Windows and Linux OS), C++, C#, Delphi, Java, Python, Visual Basic, VB.NET, COM-object. Are there any open source applications supplied together with PTS controller SDK and what is their license? Yes, for each of the popular programming language we supply API and an open source applications for provision of control over dispensers and getting data from ATG systems. All software is given for free. You can use these application as a startup for your own POS system appilications and/or modify their source code to what is required by you. "PTS controller over fuel dispensers and ATG systems"
GB 2-wire interface converters (RS-485/RS-232 to 2-wire current loop and backwards) are intended for communication with dispensers (Gilbarco, Tankanlagen Salzkotten, Batchen Email, Kraus, Prowalco, Bennett and others) using 2-wire current loop interface through interfaces RS-232, RS-485 (2 wires). 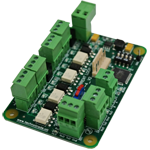 TH 3-wire interface converters (RS-485/RS-232 to 3-wire current loop and backwards) are intended for communication with dispensers (Tokheim, Satam, Emgaz Dragon, Kalvacha, Kraus, others) using 3-wire current loop interface through interfaces RS-232, RS-485 (2 wires). HY 4-wire interface converters (RS-485/RS-232 to 4-wire current loop and backwards) are intended for communication with dispensers (HongYang, Star) using 4-wire current loop interface through interfaces RS-232, RS-485 (2 wires). 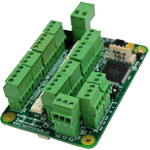 NP 4-wire interface converters (RS-485/RS-232 to 4-wire current loop and backwards) are intended for communication with dispensers Nuovo Pignone using 4-wire current loop interface through interfaces RS-232, RS-485 (2 wires). 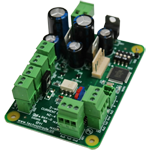 LP 3-wire interface converter (RS-485/RS-232 to 3-wire current loop and backwards) is intended for communication with fuel dispensers ( Logitron, Emgaz Dragon, Gilbarco Marconi, Fornovo LPG, others), which use 3-wire current loop interface, through interfaces RS-232, RS-485 (half-duplex). 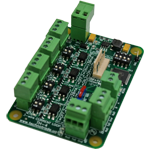 NZ 2-wire interface converters (RS-485/RS-232 to 2-wire current loop and backwards) are intended for communication with dispensers (Actronic, Agira, Batchen, Compac, Intermech, PEC (Gallagher Fuel Systems), others) using 2-wire current loop interface through interfaces RS-232, RS-485 (2 wires). 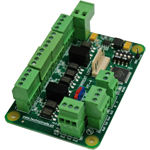 Dispenser interface converter NA (RS-485/RS-232 to non-addressable RS-422/RS-485/RS-232 and backwards) are intended for communication with fuel dispensers Censtar, which do not have a communication address in communication protocol and use one of the following interfaces (RS-422, RS-232, RS-485). RS-485 to RS-232 dispenser interface converter (RS-485 to RS-232 interface and backwards) is used for communication with fuel dispensers, which use RS-232 interface, through interfaces RS-232, RS-485 (half-duplex). 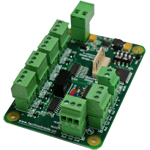 RFC converter is appointed for establishing of wireless communication between devices having interfaces RS-232 and RS-485. Mechanical fuel dispenser controller is used in conjunction with a control system for petrol station to provide direct control over operation of electronic and mechanical fuel dispensers by controlling dispenser’s internal resources: motor, pulse sensor, nozzle, slowdown valve. USB to RS-232 interface converter is intended for conversion from USB interface (USB 1.1, USB 2.0) into two independent RS-232 interfaces in duplex and half-duplex modes of data exchange.